Part of the morbid allure of mummies lies in their surreal out-of-time physicality. Mummies from around the world offer people a glimpse into the literal, tangible past, bringing history to life in a way no written chronicle can. 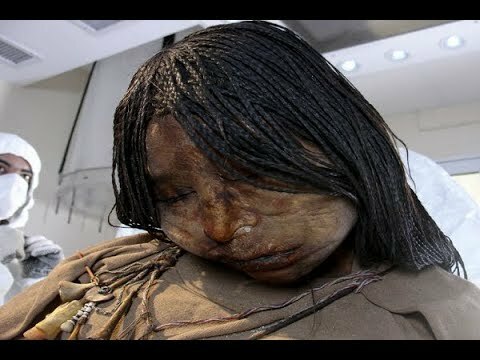 And when it comes to making ancient life seem real, few human relics can match the impact of the Mummy Juanita, AKA the Inca Ice Maiden. In 1995, internationally-renown anthropologist Johan Reinhard, along with his climbing companion, Miguel Zárate, discovered Mummy Juanita in the Andes. Uncannily well-preserved - even her organs and the contents of her stomach were intact - Juanita immediately captivated researchers. She's believed to have been an Inca child, sacrificed to appease the gods around the year 1450. She was a mummy long before she was found. Nevertheless, if it hadn't been for the volcanic eruption that effectively dislodged her resting place, she might never have been discovered at all. The superb condition of Juanita's remains and the artifacts buried with her reveal fascinating details about her life. Tests indicate that she likely passed between 1440 and 1450, and at any point between the ages of 12 and 15. Further studies suggest she was in generally excellent health, with "a good and well-balanced diet," though she had fasted for one day prior to her sacrifice. Even Juanita's clothes were well preserved. The red tunic she was wearing, as well as her llama skin and alpaca wool shoes, indicate that she likely came from nobility and that she may have lived in the city of Cuzco. Juanita's official autopsy report determined that she passed due to a blow to the head, and examiners documented the "massive craniocerebral injury" that "destroyed and collapsed" not only the upper and frontal parts of her skull but also her facial bones. According to The Journal of Contemporary Anthropology, the Incan Empire also sacrificed victims via other customary methods, including "burying the victim alive after being ritually inebriated." According to historians, the Incas often attempted to alleviate the trauma of imminent sacrifice in a rite known as "capacocha." As National Geographic explains it, children were customarily given chicha, a potent alcoholic drink distilled from corn, to make sure the sacrifices were fully intoxicated. They were also sometimes given coca - the plant used to make cocaine - to chew, and studies have indicated that Juanita was likely sedated in a similar fashion before the ritual. When anthropologists discovered Juanita, they found her holding what's believed to be her own umbilical cord. Experts propose that the cord had likely been saved specifically for the occasion of her sacrifice. The stem cells contained therein revealed a wealth of information about her genealogy. Through the extensive analysis of the cord, researchers established (via genome) that she likely hailed from a very rare group of native peoples.